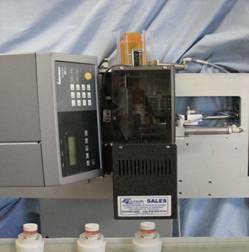 The RX-5MAX Print and Apply Pharmacy labeler is designed to print and apply Pharmacy Labels directly to various sizes of round prescription bottles. These units are in use at high volume Pharmacies. This unit incorporates the latest DATAMAX print engine technology for ease of operator use in today’s demanding Automatic High Volume Pharmacies. Datamax Industrial Print Engine (300 DPI) designed for continuous use. The RX-4 Print and Apply Pharmacy labeler is designed to print and apply Pharmacy Labels directly to various sizes of round prescription bottles. These units are in use on systems such as McKesson High Volume Solutions (HVS) automatic pharmacy print and apply printer applicator. 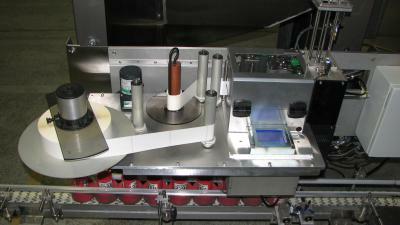 Print quality monitoring on a per label basis.